Attorney General Jeff Sessions dealt a deadly blow to women across the world on June 11. By denying victims of domestic violence the possibility of asylum in the United States, he eliminated a last hope of escaping brutality and even death at the hands of their intimate partners. In a continuation of this administration’s harsh policies toward women, refugees and migrants, domestic violence victims now join young children torn from their families, victims of gang violence, and others who are being denied basic humanitarian assistance in escaping persecution in their home countries. A.B.’s case was typical of asylum applications by domestic violence victims. Her pleas for help to her government fell on deaf ears, leaving her with no alternative but to flee her home in El Salvador. She finally came to the United States after suffering 15 years of brutality by her ex-husband. He beat and kicked her, even while she was pregnant. He bashed her head against a wall; threatened to kill her while holding a knife to her throat and while brandishing a gun. He also threatened to hang her. Yet A.B.’s efforts to get protection from the state were unsuccessful. Violence against women and girls generally and domestic violence specifically are among the most serious and pervasive human rights abuses throughout the world. More than 600 million women live in places where domestic violence is not a crime. According to the World Health Organization, 35 percent of women worldwide have experienced physical violence, and 30 percent of women who have been in a relationship report that they have experienced some form of physical and/or sexual violence inflicted by their intimate partner. Asylum is only one of many responses necessary to keep women safe, but when a last resort, it is an essential one. At Global Rights for Women, we advocate for women’s safety and security across the world, and recognize that for some there is no alternative to seeking asylum in the United States. 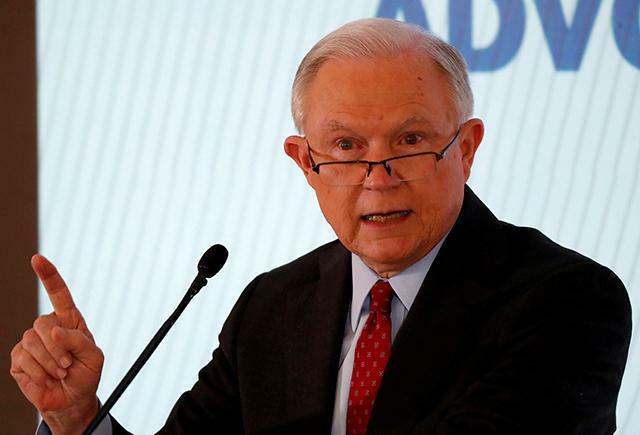 The high bar set by Sessions for victims of crime to qualify for asylum protection means that many women will be shut out and, as a result, many women will die. For years, women’s rights activists fought hard for this protection. Tragically, our country now reverses that progress by creating policy based on the belief that it is acceptable for women to be controlled by violence in the home — at any cost. And if power is unlimited at home, it threatens us far beyond. To read this article on MinnPost, please click here.